Each year, dangerous chemical herbicides are sprayed on Nova Scotia’s forests by government and the forestry industry. The active ingredient in the herbicides currently used – glyphosate – has been linked to serious human health problems such as cancer, respiratory illness and birth defects. It is also detrimental to Nova Scotia’s water supply, wildlife and ecosystem. We believe that these herbicides should be banned in Nova Scotia, as they are in other provinces like Quebec. 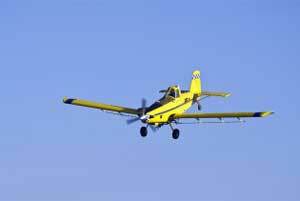 More information on herbicide spraying can be found on the Sierra Club Atlantic website. Nova Scotia can be a beacon for the world. One step will be to ban this dangerous practice of spraying glyphosate. I completely support this petition. We don’t need poison raining down upon the earth. Mother earth is in dire shape spreading poison on her makes her sicker then she already is. I cry for her creatures on land , sea and sky. If we do NOT stop poisoning our land there will be no place for us to live. Only when we understand and learn to live WITH the land will she start to heal. LISTEN to the people and do what is right! !